Following the two lynchings in Telangana and attacks on at least nine people based on rumours about the presence of child-kidnappers in Prakasam, Guntur and Chittoor districts of Andhra Pradesh, the police chiefs of both states Thursday warned of strict action. IT BEGAN with shouts of “donga” (thief). Then came the brutal assault. Within half an hour, he was dead, lynched by a mob that accused him of being a child-kidnapper. The next day, they came to know that the victim was a 32-year-old autorickshaw driver from a neighbouring village who had stepped out for a drink of toddy after visiting a relative. On Friday, a brooding silence hung over the Lambada thaanda (settlement) about a kilometre from Jiyapally village, 80 km northeast of Hyderabad. Most of the houses were locked. And the 40-member local WhatsApp group on which the rumours about child kidnappers first spread had been deleted. Police have arrested six persons from the settlement for their alleged role in the lynching of Nimmala Balakrishna Tuesday night, including Dharavath Mallesh, the main accused and an administrator of that WhatsApp group. A manhunt is underway for 12 more suspects in the case. 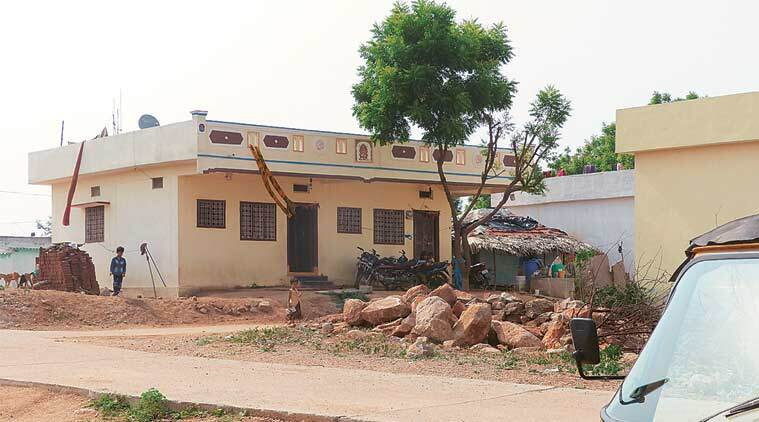 A day after the Jiyapally lynching, another person was killed in Nizamabad’s Chengal village, nearly 200 km to the north, in a similar attack spurred by rumours of child kidnappers. The victim was identified later as M Deviah, 40, a mini-truck driver from a neighbouring village, who had stopped his vehicle near a mango orchard to have tea. In Jiyapally, residents and police said the rumours had been swirling in social media over the last two weeks. They warned of gangs kidnapping children and cutting off their limbs, or thieves stabbing people at night. These messages included words like “donga”, “psycho”, “child kidnappers” and “North India gangs” highlighted in bold letters, accompanied by images of mutilated bodies. Some were in Telugu and others in Kannada which no one understood. According to police, among the 40 members of the WhatsApp group, mostly from the Lambada settlement of around 300 people, were students, autorickshaw and mini-truck drivers. Balakrishna Goud, a member of the group and whose father is the sarpanch of Jiyapally, described the messages as “very disturbing and frightening”. “These messages became a hot topic of discussion in the village and even though most of us agreed that it was fake news, every discussion ended with ‘what if’… Parents stopped letting their kids go out alone. The streets were deserted after 7 pm. People here usually sleep outside at night during summer but they got so scared after reading these messages that they started sleeping indoors. Groups of volunteers, armed with sticks and iron rods, started patrolling the area at night. Every stranger was questioned and sometimes roughly,’’ he said. According to Balakrishna Goud, the last message was a warning against children being left alone at homes or outside “as gangs of kidnappers were roaming around’’. It was in this atmosphere, police said, that Nimmala Balakrishna arrived in his autorickshaw from Koremula village, a few kilometres away, to visit his aunt. “He was stopped by some people on the outskirts of the village where he had gone to drink toddy. When he failed to convince them about his credentials, some started assaulting him. When he fell unconscious, they dumped him outside the panchayat office at 8 pm. He died by the time his relatives arrived,’’ said S-I Vijay Krishna of Bibinagar Police Station under the Rachakonda Police Commissionerate. Sources at the Commissionerate described the attack on Nimmala Balakrishna as “very vicious, as if they wanted to kill him”. “The mob kicked him in the stomach and private parts until they were punctured. He was beaten with iron rods and his left leg was broken. The assault started with someone shouting ‘donga’,” an official said. Police said the victim was the youngest of seven siblings and was “set to get married soon”. Mahesh M Bhagwat, Police Commissioner, Rachakonda, said some of the messages had been traced to Visakhapatnam where a mentally unstable girl was roughed up by local residents on suspicion of kidnapping infants. “Someone attached a message to the video claiming that a gang from North India was kidnapping kids for trafficking. The Cyber Cell and our officers are finding out who were the people who originally manufactured the fake news and started circulating them. Right now, we are busy reaching out to the villagers to assure them that all this is bogus and fake, and there is no reason to worry. But the power of social media and the speed at which this kind of false news spreads is such that it has created a fear psychosis in the villages,’’ Bhagwat said. According to senior Telangana Police officials in Hyderabad, many of the photos and videos being forwarded are of mentally unstable persons — and in some cases, migrant labourers mistaken for thieves. “We are trying to trace who started this mischief,’’ an official said. In Jiyapally, D Pratap Naik, an autorickshaw driver, said most of the youths who circulated the messages have gone into hiding in nearby villages fearing police action. And many of the residents, he says, have deleted WhatsApp from their phones.